The mirror passed maybe a foot away from my shoulder; I’d reeled my arm in as the front fender passed by. The design doesn’t allow much flinch room for cyclists and certainly isn’t calming for us. 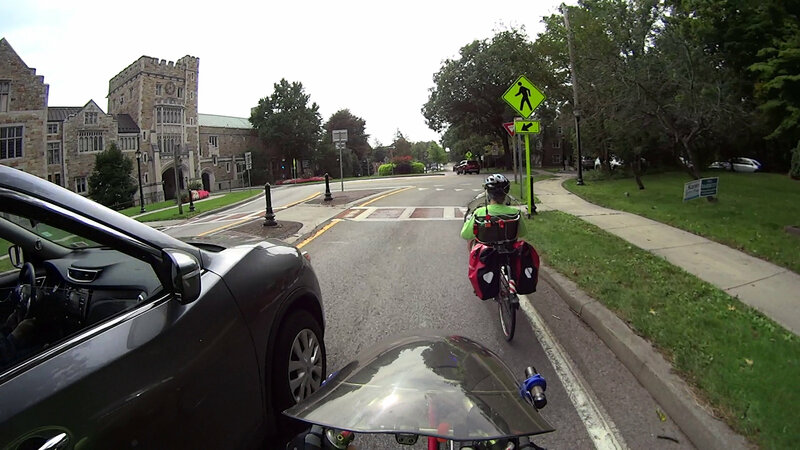 The NYS engineer who designed the Raymond roundabouts said the whole thing was “standards compliant”, refused to go on a check ride with me to experience what it was like, and told me to detour through the Vassar campus if I felt endangered while sharing the road. 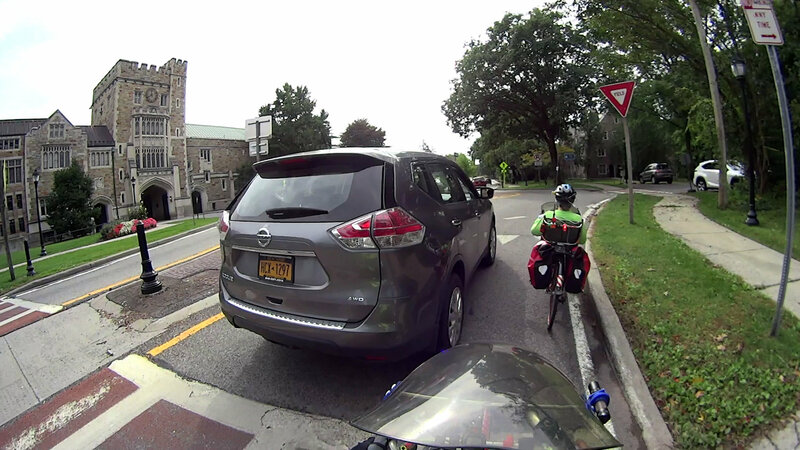 Obviously, NYS DOT personnel do not dogfood their “share the road” bicycle standards by riding bicycles. 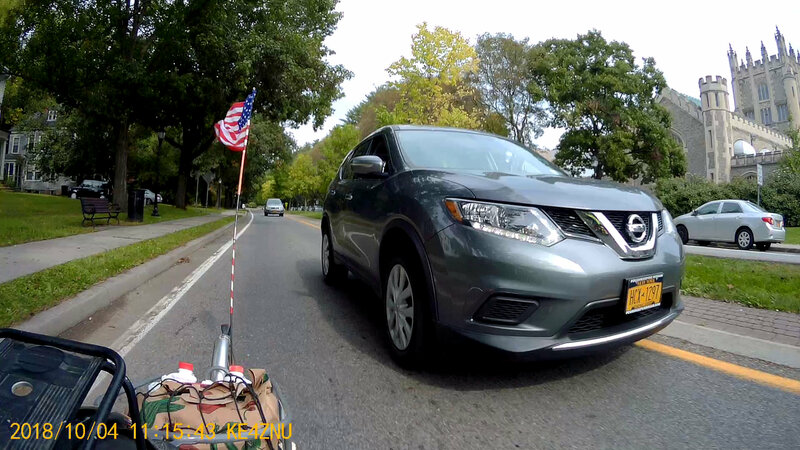 This entry was posted on 2018-10-28, 07:25 and is filed under Oddities, Recumbent Bicycling. You can follow any responses to this entry through RSS 2.0. Both comments and pings are currently closed. We met a guy with a brush knife / machete lashed to his rack, but even I agree he’s an extreme case. Anything sticking out to the side resembles a handle: there’s no need to provide a good grip!